By David Ponce on 02/29/16 • Leave a comment! Well, as far as ping pong paddles go, this has got the be the most eye catching one we’ve ever come across. 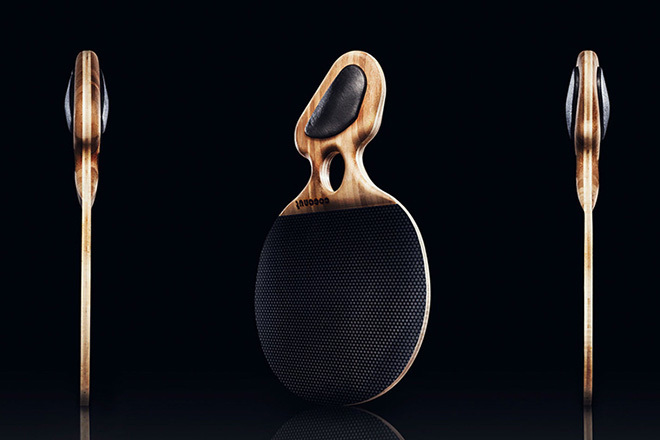 It’s called the Coconut Paddle, and there is no coconut involved in its making. Instead, there’s a Blonde 3 Ply Bamboo Wood, with custom inserts in the handle. 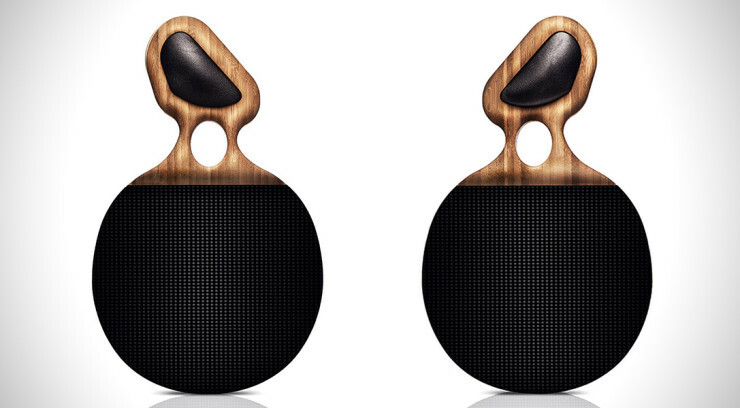 The shape of that handle is not only ergonomic but allows for left or right handed play. And like anything that looks unusual and seems overengineered, the price is through the roof: $108. For reference, that’s about $100 more than we’d be willing to pay for a ping pong paddle, but then again we know nothing about the game and wouldn’t be surprised if professional grade paddles fetch even higher prices. By David Ponce on 03/19/15 • Leave a comment! 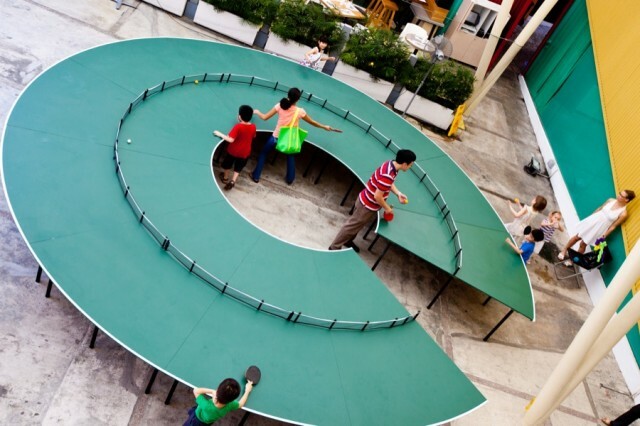 It’s not that we’re huge fans of Ping Pong or anything, but the thought of a bunch of us being able to play on the same table at the same time is kind of appealing. 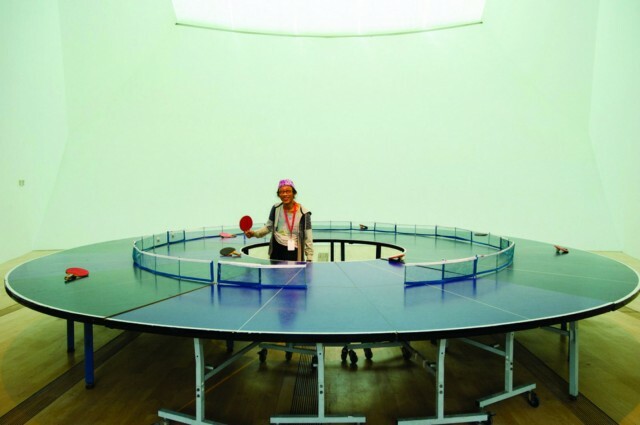 We’re guessing it’s the same train of thought that got Singapore artist Lee Wen to make the above Ping-Pong Go Round table… back in 1998. He’s been exhibiting it at various art galleries across Asia since, going so far as making a few models for some museums that were requesting them. It accommodates up to 15 players, although we imagine those in the middle might feel a little crowded. And it also apparently isn’t being manufactured so you can’t get a game on unless you travel to one of the few places where it is still being exhibited. Still, the concept is interesting. By Hazel Chua on 10/07/14 • Leave a comment! Playing ping pong on concrete? That should be nothing new–but we don’t mean playing on a concrete floor. No, we’re talking about playing on a concrete table! Designer James de Wulf has built a name for himself when it comes to concrete furniture, and now he’s built what could be the world’s first concrete ping pong table. From the legs to the tabletop, the entire thing is made from concrete– except for the net, of course. The price? A whopping $9,320. 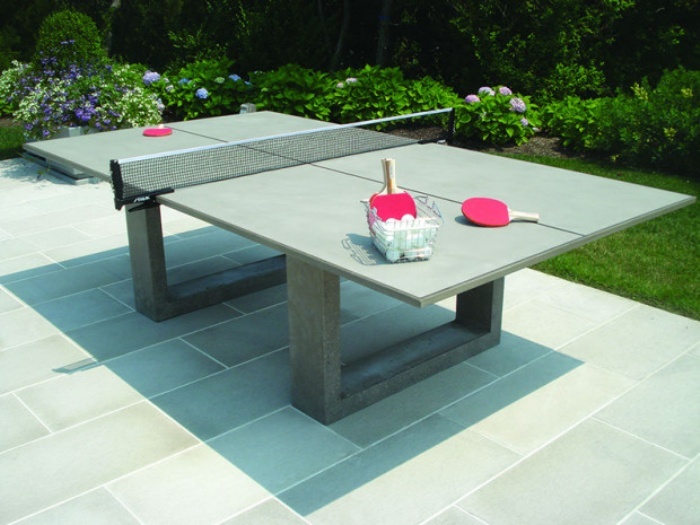 Not exactly sure if concrete makes ping pong tougher to play or not, but make sure to bring lots of extra balls.